“Britishers Enlist Today. 280 Broadway." 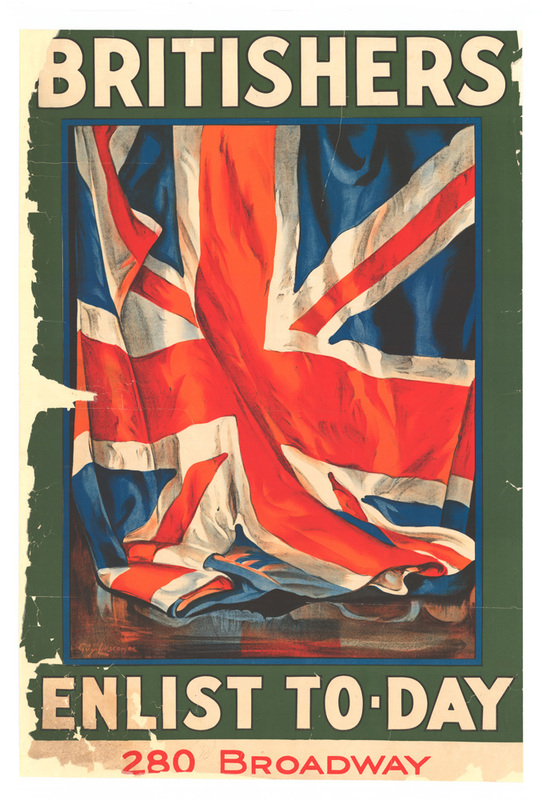 Poster depicts Union Jack on an olive green background.